“The triple, as we always call the three-races-in-a-row, could not have been better for us. Three weeks of flights, jet lag, training, sleeping away from home, changing schedules… it has been three hectic and exciting weeks in which we have been able to take a step forward. From my side I couldn’t be happier. 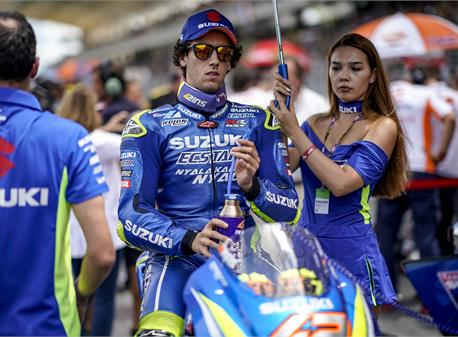 Achieving two podiums close together in this part of the season is so important, and at two tracks as emblematic as Motegi and Sepang is something that perhaps we had not imagined possible at the beginning. 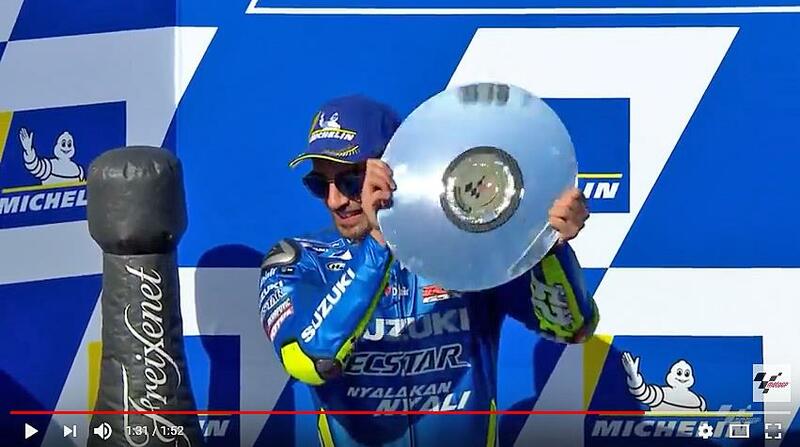 In fact this season we as a team have already had eight podiums, and according to what I have been told, this is one of the best runs of results for Suzuki in recent decades. For me personally it’s the fourth podium this season, so I’m very happy about the performance so far. We arrived in Japan with a lot of enthusiasm – competing at home always brings additional motivation for the team. Riding in front of all the Japanese Suzuki engineers and the President of the company is a huge responsibility. I remember clearly being on the grid and the President Toshihiro Suzuki encouraging us to have a good race. In the end, we could put his words into action and return his care and affection with a great result. The Motegi podium was very special in many ways, and not least because I was able to present a special helmet design dedicated to Japan. Before we knew it, we were in Malaysia, and Sepang is another track that I love. Everyone in MotoGP knows it well because we often have tests there, and maybe that’s why we’re all closer on times and there’s a lot of competitiveness in every session. The race was tough, very hot. At the beginning I had to fight to pass some riders because I was a bit behind, but then I was able to find a strong rhythm and good pace and start my comeback. Being able to achieve second place was extraordinary, that’s why we celebrated it with the team almost like a victory when I came back to the garage. Now we have to face the last race, in Valencia, a very special race because it always closes the World Championship and it is home for me, of course. The Ricardo Tormo Circuit is unique; it’s compact, almost like a stadium, and all the fans have a great view. We always feel their presence near us.